The cruise industry has specific requirements, which means they look for particular qualities from its fuel suppliers. The giant size of some cruise ships and the extremely time-sensitive nature of all their itineraries, mean that lines need to be certain of the capacity and capability of their supplier partners. Operators are finding it especially difficult to source requisite levels of ECA-compliant fuels in the Pacific North-West. It represents the greatest single cost to operators, fluctuates wildly in price and is the target of increasingly stringent legislation, yet shipping cannot live without bunker fuel – it is a marriage ridden with controversy and strife. 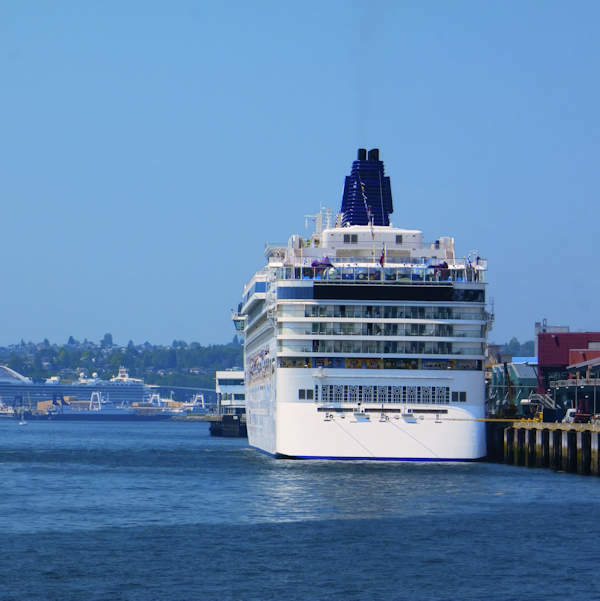 The implementation of the North American Emission Control Area (ECA) on 1 August 2012 is the latest in a long list of pressures exerted on cruise lines as they attempt to secure and maintain a consistent and competitive fuel supply chain across an ever-expanding global footprint. "Potential economic impact of sourcing ECA-compliant fuel – a 2.2 million drop in passengers, 14,000 lost jobs and $1.5bn from local economies." The Cruise Lines International Association (CLIA) has been busy highlighting the limited availability of ECA-compliant fuel and the potential economic impact of sourcing it – a projected drop in passenger numbers of 2.2 million, the loss of 14,000 jobs and $1.5bn vanished from local economies. The situation has also re-emphasised the extent to which operators are dependent on the whims and requirements of their suppliers. The global economic downturn hit shipping hard, which in turn had a transformational effect on the shape of the bunker fuel industry. Despite retaining relatively strong lines of liquidity, cruise operators have been forced to change the way in which they cultivate and manage relationships. "What we’re really looking for in our fuel suppliers is financial strength," explains Paul Litvinov, Royal Caribbean International (RCI)’s director of global fuel sourcing. "They sell massive amounts of merchandise on credit and, while the cruise sector has remained in a relatively strong financial position, we are just a small part of the shipping industry. Others have not fared so well and this has left fuel suppliers extremely exposed." Litvinov admits that the task of fuel procurement has become increasingly complex in recent years – "I make sure I sleep next to my cell phone" – and the retreat of a number of well-capitalised superpowers from the bunkering market has further complicated the process. "The task of fuel procurement has become increasingly complex in recent years." "While shipping has struggled, we have also seen major integrated oil companies reducing bunkering operations, as the margins are so much smaller than those found in oil production or exploration," he explains. "Companies such as BP and Shell have better credit than most governments these days, but the smaller players entering the market don’t have such deep pockets. If their other customers fail to pay, then they cannot go and buy fuel from refineries. That might mean there being no fuel awaiting us at port or, even worse, the refinery coming to us and demanding compensation even though we’ve already paid the supplier." Although the shipping industry has struggled markedly during the downturn, it has also had its advantages. More than ever, suppliers are looking to do business with cruise lines that enjoy relative liquidity. "We represent a very attractive customer," Litvinov says. "Suppliers have a lot of advance knowledge regarding when we are coming to port and how much fuel we will need, which provides them with plenty of opportunity to schedule operations. They also know that we can and will pay our bills – something that is not true of all their clients. 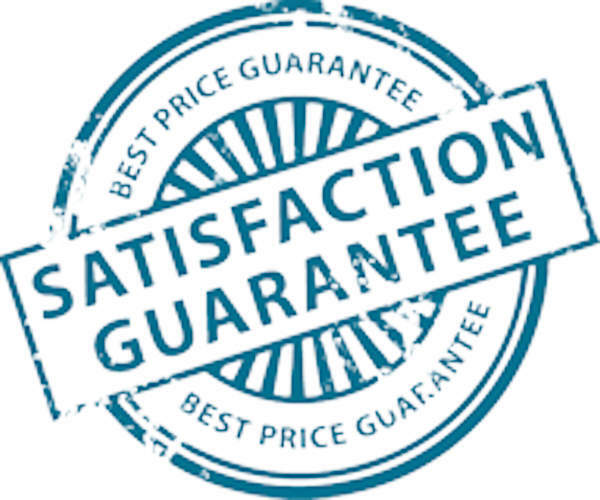 It provides plenty of leverage at our end to negotiate on pricing." The specific requirements of the cruise sector necessitate further qualities from suppliers. The giant size and fuel-hungry nature of some ships, and the extremely time-sensitive nature of all cruise itineraries, mean Litvinov has to be absolutely certain of the capacity and capability of his supplier partners. One key performance indicator imposed on Litvinov and his team is that out of more than 1,500 annual bunkering deliveries, only two can suffer a delay of two hours or more. Failure to meet this target will be met with ‘serious repercussions’. "Suppliers are looking to do business with cruise lines that enjoy relative liquidity." "We operate massive ships and not everyone can supply us," he explains. "As well as a sound financial footing, those that we work with have to have excellent infrastructure in place and understand the importance of punctuality. If we are stuck at port waiting for fuel, we are losing revenue and hitting passenger satisfaction levels. "For now, it hasn’t limited our ability to source fuel where we need to buy it, but our universe is rather dramatically limited. We haven’t retreated from markets because we do not trust our fuel suppliers, but that day could come as the shipping industry continues to deteriorate." The requirements for financially sound partners and dependable supply in an ever-growing number of new destinations have forced cruise operators to cast their nets further than ever before. 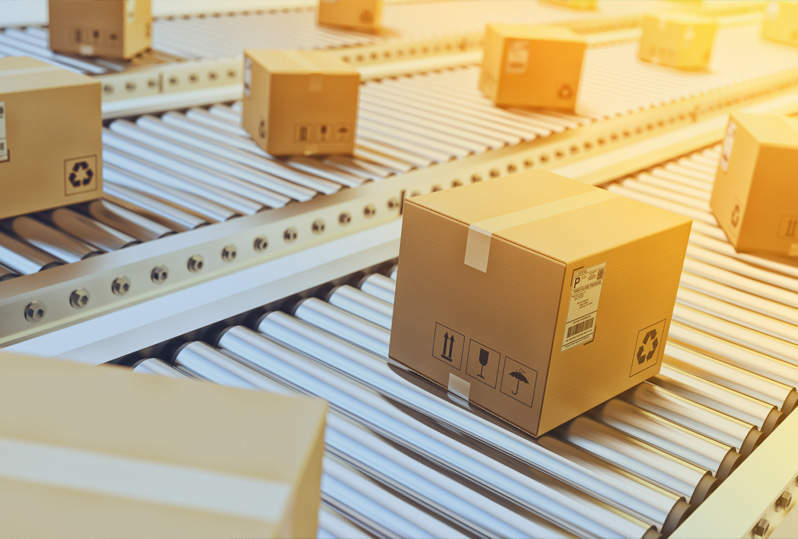 The global supply chain will only become more complex in the coming years as RCI and its competition look to exploit new markets. "The growth in itineraries certainly keeps us on our toes," says Litvinov. "It requires a huge amount of due diligence. We love exotic ports, but one always has to be careful when it comes to exotic fuels." A struggling industry also raises the spectre of exotic ‘off-spec’ products. Poor freight rates have prompted some shipping companies to significantly cut back on testing programmes while, paradoxically, heightened emission regulations have forced suppliers to blend more cutter stocks, breeding uncertainty about the quality of certain fuels being brought onboard. "Out of 1,500 annual bunkering deliveries, only two can suffer a delay of two hours or more." "One has to be more careful than ever," believes Litvinov. "We have an independent inspector from one of four major test and measurement companies present at every bunkering. They are there to measure quality and quantity, ensuring no games are being played. "Unfortunately, we have no means to test fuel prior to bunkering as it’s drawn from communal storage and there’s no time; however, we pull a sample from every bunkering and it is sent to one of our labs for assessment. Turnaround takes two to three days and we will typically not burn that fuel until we know exactly what it is." With perhaps the most comprehensive hedging programme in the cruise industry, RCI is less at the immediate mercy of fluctuating fuel prices than some of its peers, but a range of tools, both off-the-shelf and proprietary, are employed to track prices and cargo movements in real time. "Getting better information is a never-ending goal," says Litvinov. "A struggling industry also raises the spectre of exotic ‘off-spec’ products." Right now, the predominant focus concerns the availability and affordability of compliant fuel following the implementation of the ECA. The situation is clearly exasperating those responsible for finding solutions. "The act requires us to buy compliant fuel, but doesn’t require suppliers to carry it," Litvinov explains wearily. "It’s a pretty amazing situation. Right now we are experiencing humongous problems in the Pacific North-West. "There is a finite amount of storage and in order to stock what we need they must lose space elsewhere. That means taking it from diesel, jet fuel or petrol, which all generate far higher margins than bunker fuel. We tell them what we require, but their argument is that if they have to stock it in place of petrol, for example, they’ll have to charge us the same margin." The situation is somewhat less severe on the US East Coast, but RCI, like the rest of its peers, is stuck in an unsustainable position. Litvinov acknowledges that there have been extensive conversations with governments, regulators and the International Maritime Organisation, but progress remains slow and no immediate solution seems forthcoming. Looking ahead, operators are also facing the Marine Environment Protection Committee requirement for a reduction in sulphur levels in marine fuels to no more than 0.1%, taking effect from 2015.
" The predominant focus concerns the availability and affordability of compliant fuel following the implementation of the ECA." The outcome of this on fuel procurement and prices could significantly alter the business model of the cruise industry, and answers are desperately being sought in an effort to limit consumer impact and sustain growth forecasts. Litvinov alludes to ongoing R&D being undertaken by RCI to monitor and reduce emissions, but the issue continues to loom menacingly on the horizon. "The environmental side of our work has become completely crucial," he explains. "Aside from any regulations, we have an internal commitment to keep emissions as low as possible, particularly sulphur, and RCI voluntarily switched to a more expensive fuel grade in environmentally sensitive areas such as Alaska some time ago. I feel we’re ahead of the curve in that regard, but there’s still some way to go."